Think about it, if you were sat in your bedroom and figured out how to cheat the lottery, would you really sell off the method for $19.99 a go on a cheesy looking website? Of course not! You'd win a couple of big jackpots, pack your Louis Vuitton suitcase and hop on a plane to the sun. 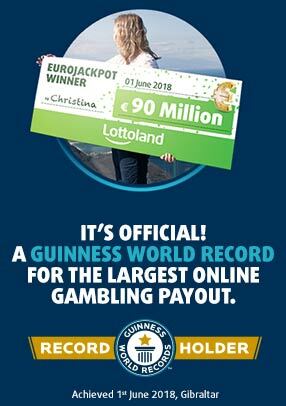 Say you're numbers came up and 100 of you scooped a whopping €100,000,000 jackpot, you'd only end up with €1,000,000 each. Sure, that is a great windfall, and easily enough to retire on, but if you've beaten insane odds to win a jackpot, you want to be walking away with insane money too. Lottoland has a whole host of promotions, giving you discount and free games on your favourite lotteries, so make the most of them! Some players like to save up their lotto money for bigger jackpots, allowing them to purchase several betting lines for special draws and boost their chances of winning big. Another great way of doing this, while keeping costs low, is to join a syndicate. A lot of lotto players pick birthdays for their line, however this limits your potential pool of numbers to 31. Most lotto draws have number ranges between 50 and 70, so you're cutting out around half of the potential winners before you've even started! Looking for a big jackpot? EuroMillions has just hit €80 million, and with a game costing just €2.00, you won't want to miss out on this incredible jackpot!